Auto-mount center allows you to add dynamic network connections to external resources. 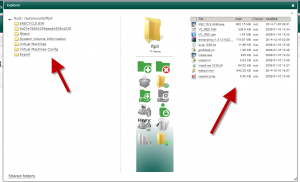 It should be used to help artica exporting data to an FTP, WebDav, NFS, CIFS remote resource. 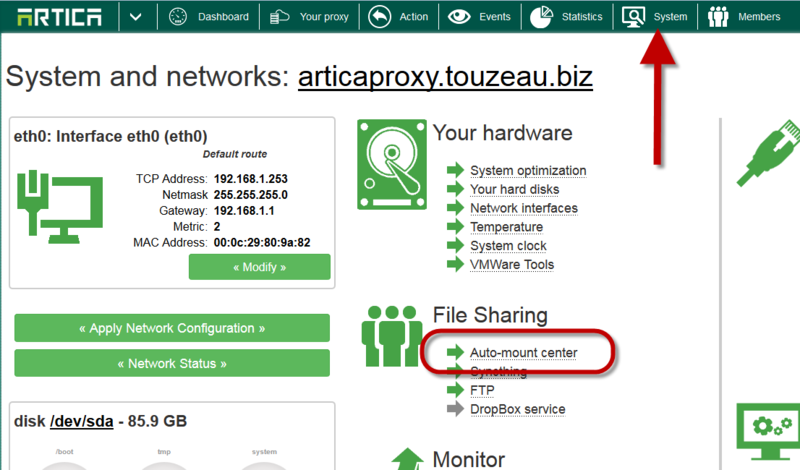 Auto-mount center can be retrieved in the System/File Sharing section. Example: Add an FTP connection. 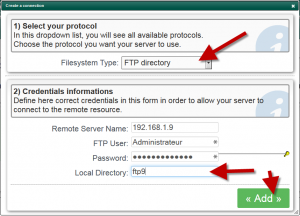 Select FTP directory in the drop-down list. Give a name for the local directory. This name will be the mount point that can be used in order to access to the FTP resource inside the /automounts main directory. 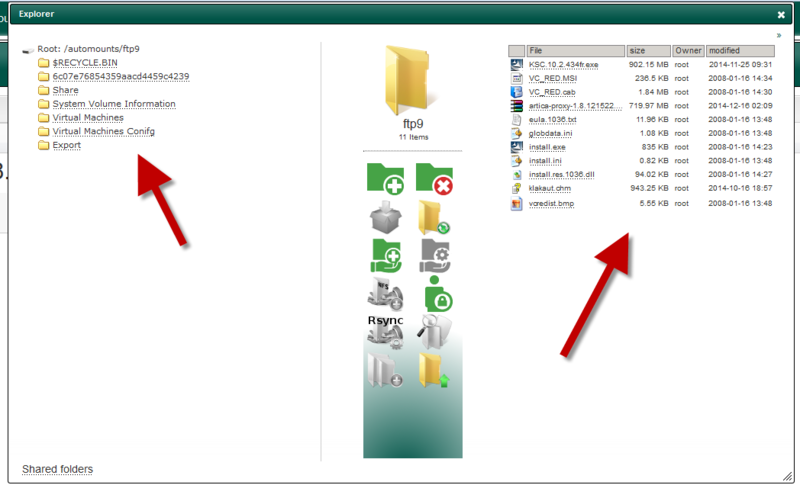 In this example, the FTP resource can be reached by browsing the local /automounts/ftp9 directory. Click on the local directory link in the table. ← How to debug proxy.pac with Google Chrome ?